Given a ribbon of texture flowing obliquely, the addition of an upwardly moving background induces the vivid illusion that the whole ribbon is drifting sideways. A complex illusion of expanding skyward flow is obtained when the simple texture flow is changed to expansion. Opposing directions of contracting/expanding flow induce a remarkable illusion of continuous twisting motion of the doubled ribbon of texture flow, even without a moving background. These effects illustrate complex interactions between motion flow fields and the motion induced in their self-defined borders. In this four frame movie the sense of motion is very real. What is surprising is that the direction of motion can be made to reverse simply by changing color. This change of direction occurs because the viewer automatically sees the most prominent of the two colors as foreground (i.e. the subject) and the less prominent color as background. As the slider changes the relative brightness of the two colors changes one way or another, whichever color stands out as the foreground determines the direction of motion. The Worm’s Eye View illusion is based on a color-matching technique described by Profs. Stuart Anstis and Patrick Cavanagh, who developed it as a screening test for color blindness. Gregory and Heard (1983) reported a striking visual illusion called the phenomenal phenomenon. By extending the illusion to real objects, we report that the luminance contrast between static “real” objects and a dynamic luminance background causes drastic motion illusions in the objects. It is an amazing experience to see the movement of static real objects that should not move. Elaborating the luminance patterns of the real objects’ edges, it is possible to give not only translation but also compression/expansion and rotation impressions. The illusion is definitely useful to give motion impressions to paper-based advertisements. How do we know how things are moving? Only by the way that the motion of one object looks compared to other objects. This leads to multiple interpretations of the same motion. In short, all motion is relative (to some frame of reference). This is true in physics and also, for the same reasons, in perception. Each of the motions in the video is the same with respect to one frame (the screen) but each is affected by a different moving frame of reference, thus appearing different. Stuart Anstis and Patrick Cavanagh: “The Squish Squash Illusion”. USA and Canada. When an object is briefly flashed on or near a moving texture, it appears displaced. When the object is flashed on an expanding or contracting texture, it also appears to change shape, expanding or contracting with the background. 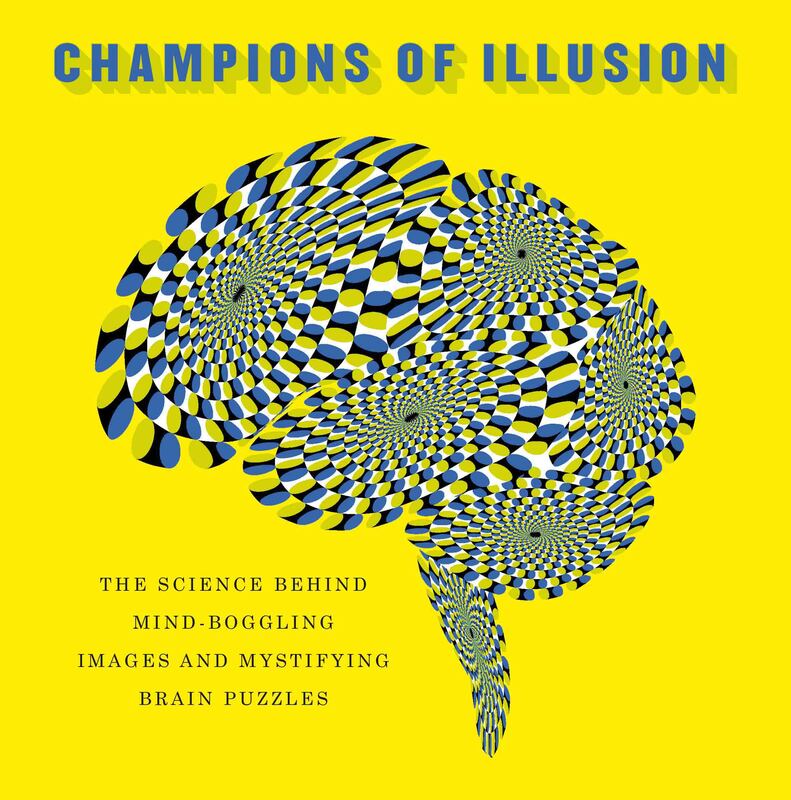 These illusions come from a family of motion- induced position shifts where now the changes in perceived size and shape are much larger than any previous examples. This illusion induces creates the appearance of red lines by putting white edges around the gray lines against a cyan background. The gray lines without the white edges do not seem red. If you cannot see the illusion, please step back from your screen until the white and gray lines are barely distinguishable, since the illusion requires narrow lines. Our minds are constantly on the lookout for other living beings — so much so that we can’t stop ourselves from seeing even simple geometric shapes as alive — or as *chasing* each other — if they move appropriately. But what determines whether we automatically see a shape as chasing or fleeing? You might think that the shape’s own motions are all that matters, but the new “Who’s Chasing Whom?” illusion shows that this isn’t the whole story: changing only the background motion of a scene is powerful enough to qualitatively reverse the perception of who’s chasing whom — from A chasing B, to B chasing A! 2) The alternation of high contrasting, mirrored photos. To the author’s knowledge, this is the first tilt illusion based on a photo grid. The illusion disappears when the red lines are placed. This illusion was discovered by serendipity. The Sequin Illusion can be seen when shapes are drawn in dotted lines, against a background of different brightness. This can be done either with bright dots over a dark background or dark dots over a bright background, though the latter usually works better. The illusion appears as a wave of dark (or bright) spots inside the dotted shapes (like sequins!) in peripheral vision. Though similar in appearance with the popular Hermann Grid Illusion, the Sequin Illusion is likely a different type of illusion as it occurs inside the shapes, and is not eliminated by slanted lines or non-rectangular shapes.